Hellboy and his mentor Bruttenholm travel across England and confront the phantom hand of a murderer, a demonic water spirit, and some of the most horrible figures of British folklore?Rawhead Rex and Bloody Bones. Back in the States, Hellboy rejoins the team from 1952 as a monster with possible ties to an earlier mission ravages a suburban community. Collects the five-issue miniseries. 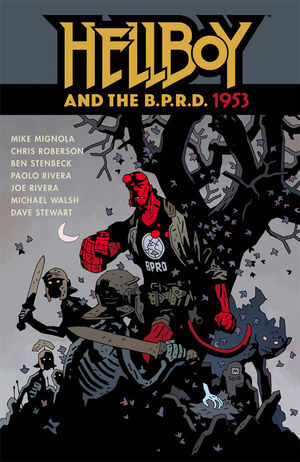 * Paolo Rivera and Chris Roberson join the Mignolaverse! * Frankenstein Underground artist Ben Stenbeck?s first Hellboy story!